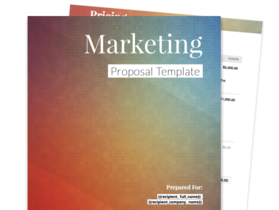 Get your business noticed with a polished proposal for new clients. 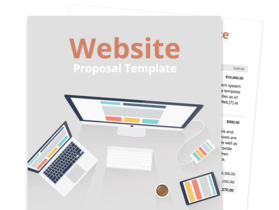 A good proposal is essential for any business to show why it can provide the best services to customers. 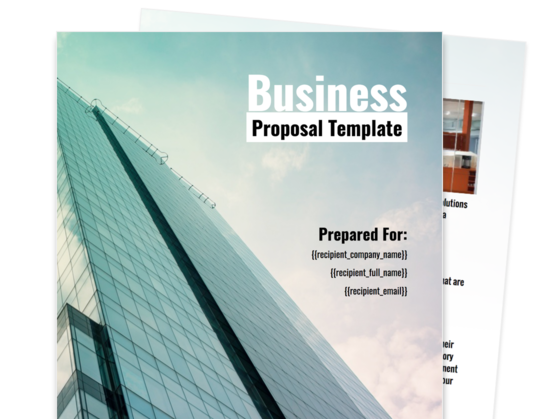 The business proposal template will help you show your company’s history, give examples of your services, and make a contract. 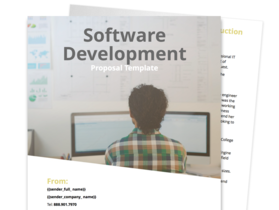 Take advantage of a customizable business proposal that you can edit according to the needs of your business. Effectively introduce your company, and precisely describe the services that you offer. Make a case for your services, and present them as viable solutions to the challenges your prospect is currently facing. Easily create a pricing and estimate list that details the components of your engagement in a clear and concise manner. Businesses of any size that seek to provide specific products or services to clients. This short introduction details your company’s history and primary fields of expertise. One of the first steps toward convincing a prospective client to obtain your services is by reminding them why they need you in the first place. This section summarizes the challenges they are likely facing and what you can do to address them. This section offers a brief preview of what your business does. Here, you can mention how many customers are currently part of your network, or what solutions your subject matter experts are capable of delivering. Introducing your team to your prospect is one way to build rapport early on in the engagement. This section enables you to do just that, whether you plan on building individual profiles about your top personnel or attaching a video which your recipients can open and view digitally. It’s also important to provide your prospective customers an idea about the kinds of businesses or industries you’re currently engaging with. You can mention relevant examples of these in this section. Key to building trust in any business relationship is being transparent about the prices you charge for your services. This section allows you to itemize the different elements of your engagement in a clear-cut manner. The terms and conditions section of your proposal can include the non-disclosure agreement as well as other arrangements and provisions that are integral components of your agreement with the client. The final section of the proposal will constitute the signatures of representatives from both parties. This will seal your agreement with the client.